Dear customer, we need just 1 minute of your attention. When purchasing the product, you can take part in getting absolutely free gold status for a period of 14 day free as a GIFT, but we have conditions. Which you can see in the description of this product. See below. After payment You will instantly receive a code in the section "personal Cabinet". After 4 acquisitions this product and leaving positive feedback for each of them, you are guaranteed to get a Xbox Live Gold Status for 14 day free! • If you made 4 purchases and have left positive reviews, thus fulfilling the condition, feel free to unsubscribe in "correspondence with the seller" link oplata.info through your personal account. By purchasing this product, you will receive a code that can activate Xbox Live Gold 14 days. Trial Gold Xbox Live Gold membership, you can temporarily access features Xbox Live, including multiplayer games online. 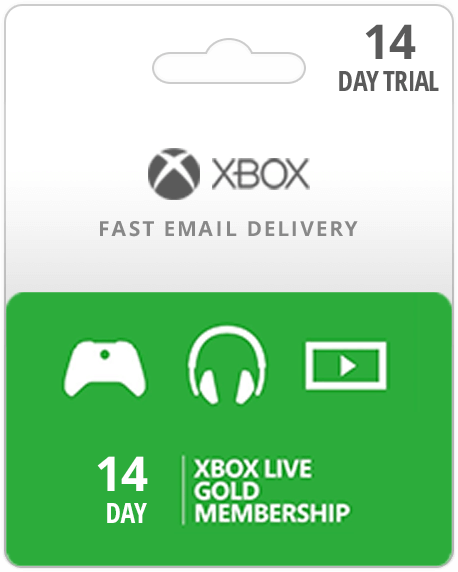 With this card you can create new or extend existing account in the service Xbox LIVE for 14 days. The card is suitable for accounts of any country. Attention! This is a map of Live Gameplay Status, you get almost the possibility that Gold status (you will not be able to download the game and go to the Internet sites from your console, such as youtube.com, google.com and others). But you can play online with other players. You will not be able to activate this code if your Gold subscription or Live Gameplay status is not finished yet. Once your account status will be Silver, you can activate the code to play online. This code is suitable for the region, including Russia. - free online content, and more. Exception: for users of Xbox One - works as a gold status. Gives download free games and the opportunity to purchase at discounted rates. Introductory information for sellers/wholesalers. If you purchase a day 5 or more identical items, then it is regarded as an attempt to speculativa (buying for resale) and liability on my part is removed unconditionally, the claims in this matter will not be accepted and, if necessary, will be manifested through the administration. If you want to cooperate, write to the appropriate section for partners or in a section of questions/answers. We kindly request - after the purchase and use of the code, leave a positive review.